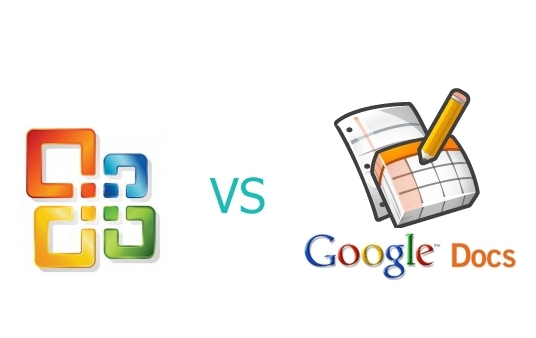 With Google launching many web based applications like Google Apps its now the turn of Microsoft to release its own office web Apps a competent tool of Google Apps.With Microsoft Office 2010 getting launched they really see a rough competition as the IT industry is trying to switch over to cloud computing and the tools from Google is really making the work very easy.With the help of Google Apps its really easy for the users to access the documents,spreadsheet and reports online as in Google Apps the documents are stored in a centralized Google Server.Google Apps is free to individual users and for Business purpose it charges $50 per user for a year.Office Web Apps is sure not to have all the features of Microsoft Office 2010 as it is priced at $119 to $499.Price variation is much dependent on the office features and version numbers. 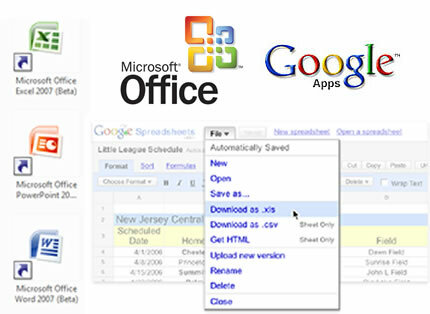 With Google Apps available at free of cost for individual users,Microsoft had the compulsion to release the Office Apps for free but they feel that it will make the users to have hands on about Office 2010 and gives the opportunity for them in making users to buy the real product. Microsoft Office claims that Office Web Apps is coming out with more features to counter Google Apps.Naturally if its going to be Microsoft office word excel and all, users will really feel easy when compared to Google Apps with usability stand point as there will be previous experience in using Microsoft office.With Microsoft products obviously there is going to be a rich User Interface and its also the case with Office Apps.So office apps is claimed to have rich visual representation when compared to Google Apps. Ability to create, edit and share Office docs with people who have Office and also with people who don’t. 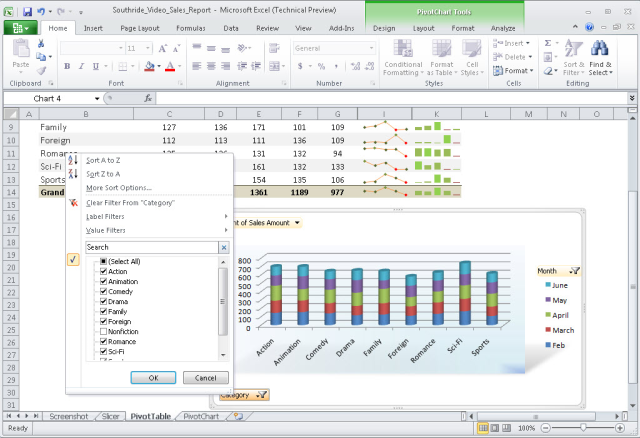 Enables two people to simultaneously edit the same spreadsheet, Word document or PowerPoint presentation from different locations through a PC, the Web or a Windows Mobile phone.